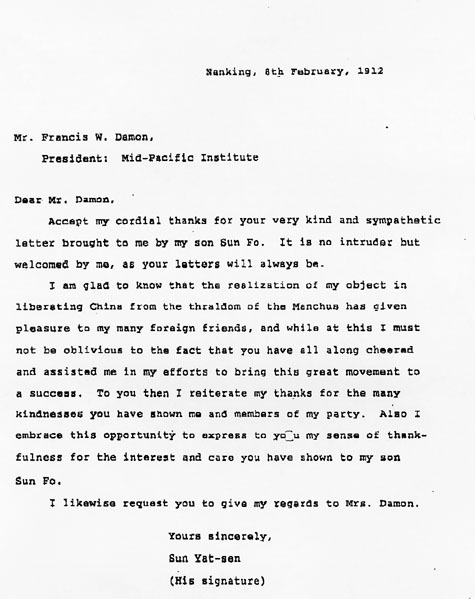 Damon, Francis Williams and Mrs. Damon were actively involved with Christian work among the Chinese. 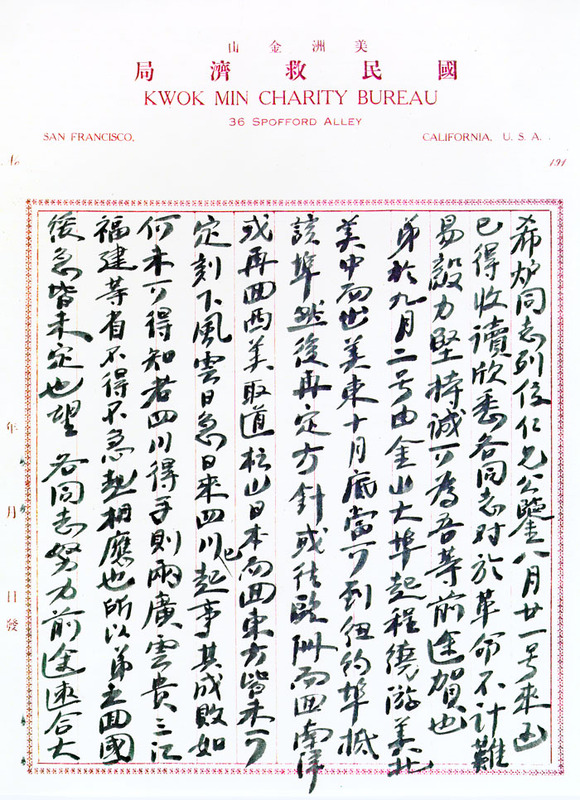 [See entry on William Kwai Fong Yap.] 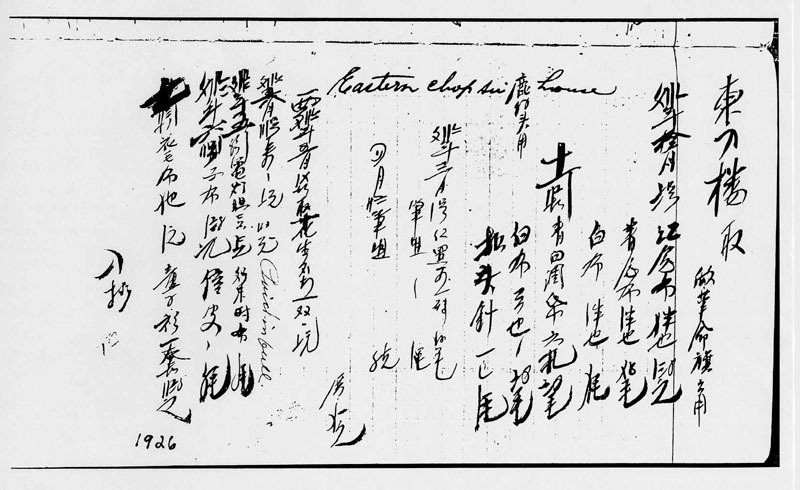 He helped to fund Dr. Sun’s return to China in 1885 and testified for him on April 7, 1904, before the immigration inspector. [See entry in Fifth Visit] Hsing Chung Hui (Xingzhonghui) members practiced military drill in the Damons’ yard. MONSARRAT, JULIAN was a friend of Dr. Sun from Iolani School days. Family accounts say that the men remained good friends. Dr. Sun visited at the Monsarrat ranch in Pahala, and many gifts presented by Dr. Sun, including Chinese dishes, linens, jewelry and other artifacts, remain in the family’s possession. CHANG, KEONG (Zheng Qiang; also known as Akiona) was like a brother to Sun Mei. Both men had prosperous ranches on Maui; they visited each other and their children played together. Mrs. Chang made several trips back to China. 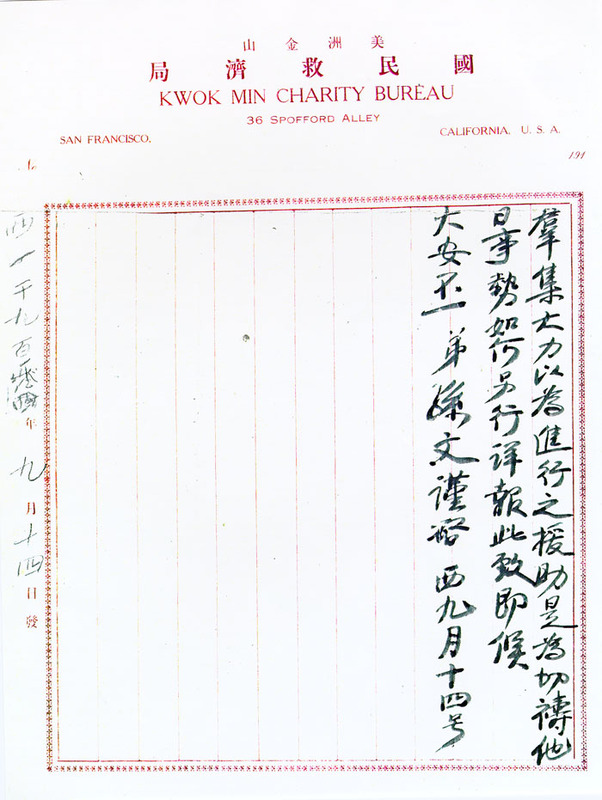 Family accounts say that she escorted the young Sun Yat-sen to Hawai`i at the request of Sun Mei. 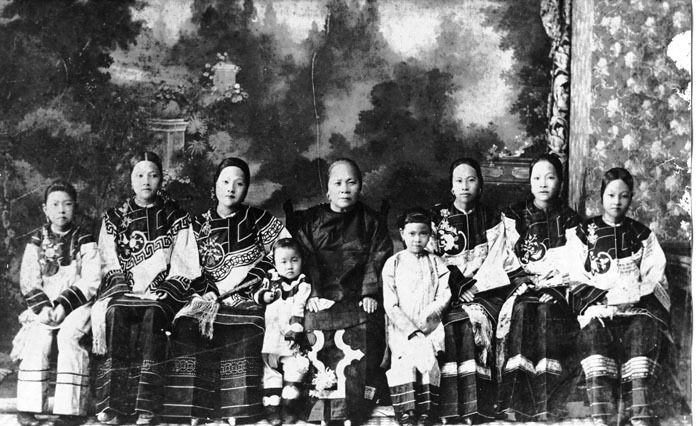 Mrs. Chang, surnamed Goo, with her six daughters and two granddaughters. AI, CHUNG KUN (Zhong Yu; also known as Chung K. Ai) was a classmate at Iolani School and a close friend and supporter of Dr. Sun. He provided funds, shelter, and friendship throughout a long and varied career in business and philanthropy. 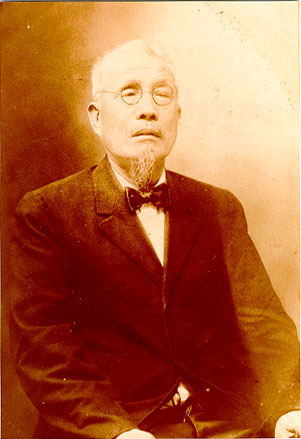 YOUNG, GOON (also known as Young Wah Goon) was a Chinese scholar and business man who owned houses, a dry goods store, and a grocery-general merchandise store in Wailuku, Maui. 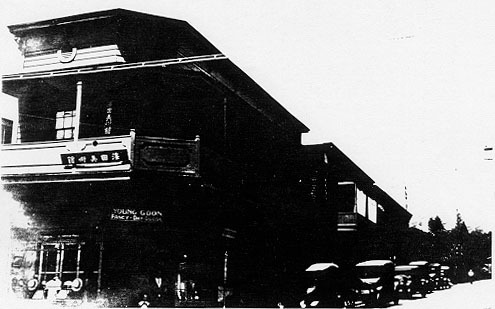 He and his cousin, Kam Chew Young, owner of Yet Lung Store in Lahaina, were active supporters and members of the Kuomingtang (Guomindang). 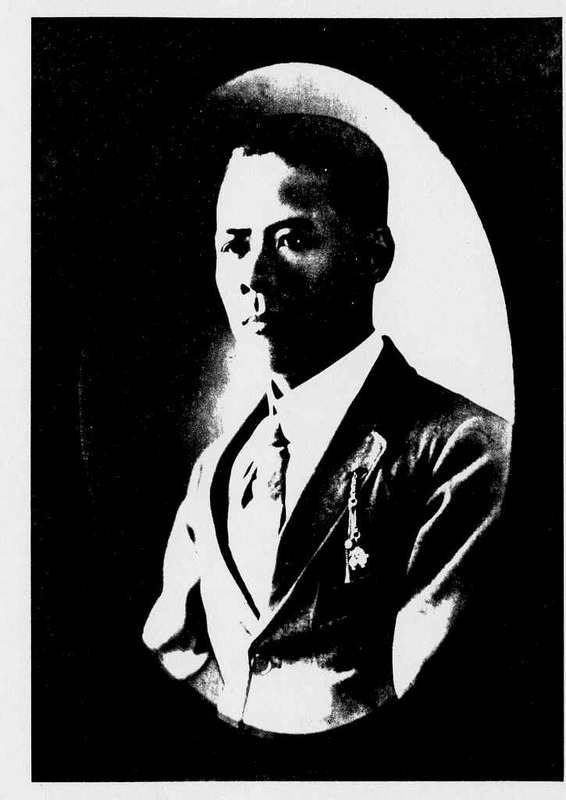 YOUNG, AHIN (Yang Zhukun; also known as Young Ah-In) was a successful businessman and a strong supporter of Dr. Sun who provided generous funds for revolutionary activities and China’s early air force. His son, Young Sen-Yet, founded the air force. 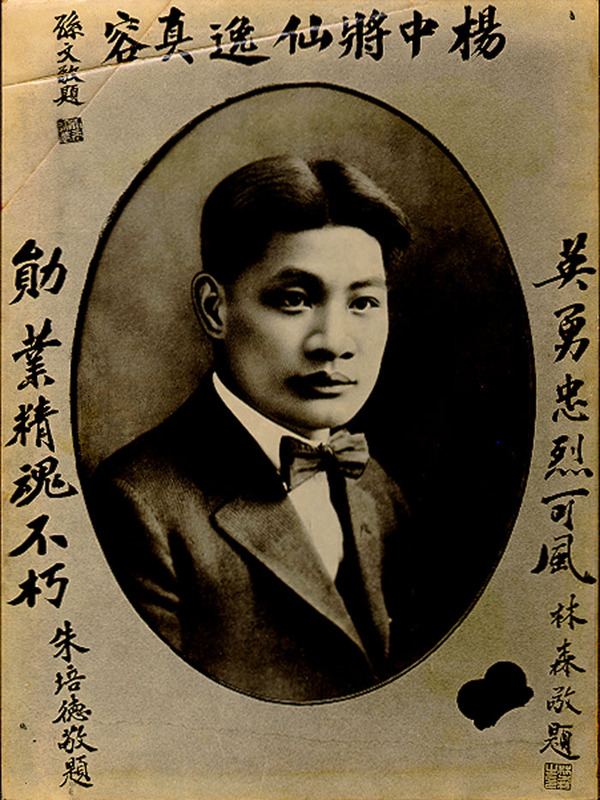 YOUNG, SEN-YET (Yang Xianyi) was born in Hawai`i and educated at Iolani School and the University of Hawai`i. After studying mechanical engineering and armaments manufacturing, he became a pilot and aviation expert. 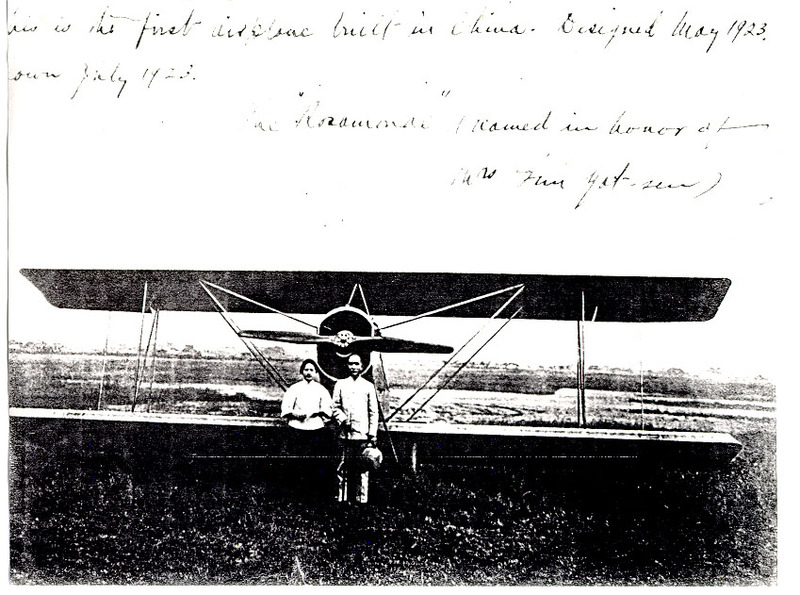 Dr. Sun appointed him to train pilots and raise funds for airplanes, and he became head of the Chinese Aviation Bureau that produced the first Chinese-made airplane. 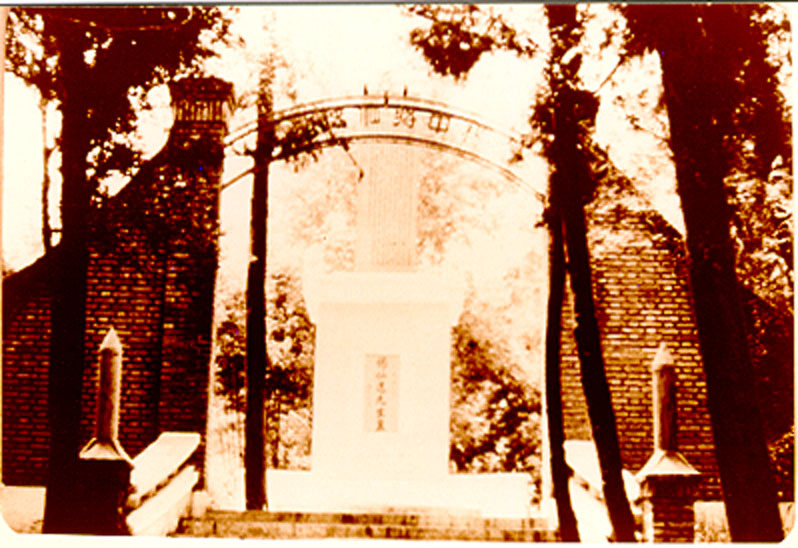 After an untimely death, he was buried in the Mausoleum of Seventy-two Martyrs in Canton. 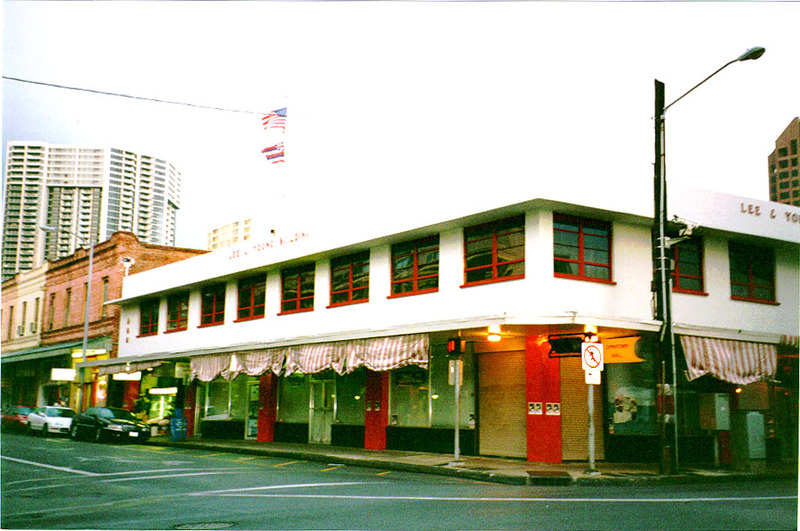 YOUNG, KWONG-DAT (Yang Guangda) operated two stores in Chinatown, Wing Cheong Loong at the corner of Hotel and Maunakea Streets, and the larger Kwong Cheong Loong at the corner of King and Maunakea Streets. 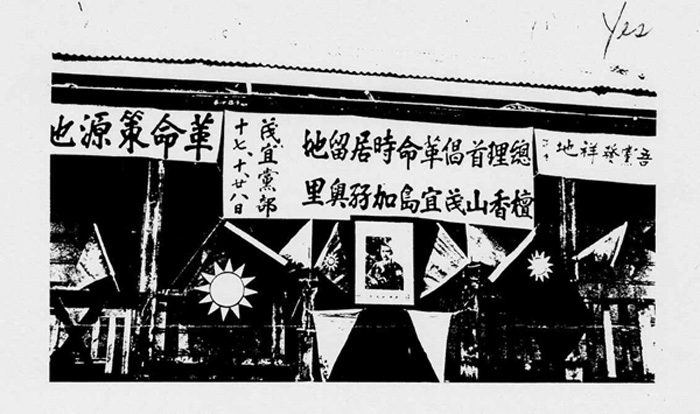 Dr. Sun and his followers held meetings in the latter store whose second store served as transcient living quarters for revolutionaries and single young men from Buck Toy village. 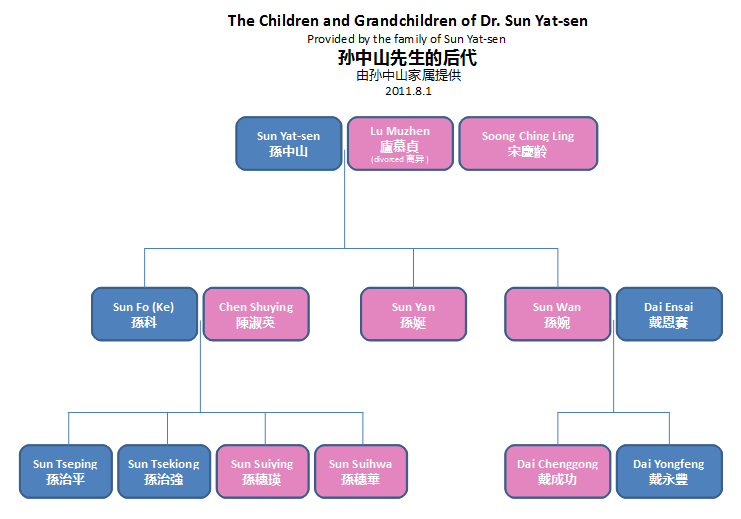 He became the second president of the Tung Meng Hui (Tongmenghui) and was entrusted by Dr. Sun to handle the money donated by people for the revolution. YAP, WILLIAM KWAI FONG, recognized for his service to the Fort Street Chinese Church and Chinese Y.M.C.A and helping to found the University of Hawaii, contributed to Dr. Sun’s efforts to raise funds and supporters. His son Eugene (b. 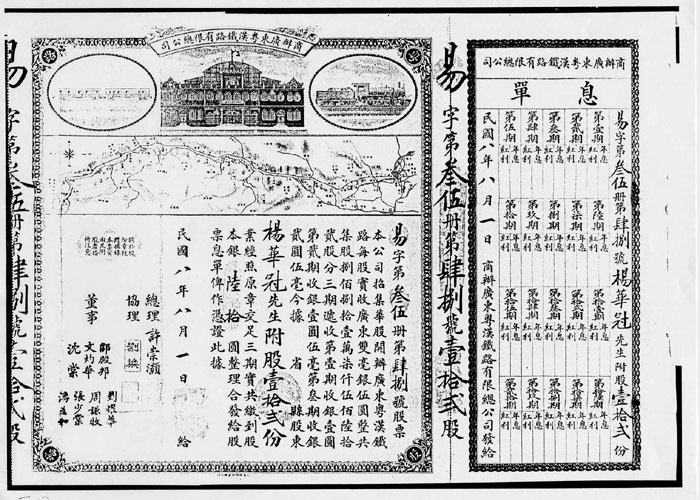 1905) recalls Dr. Sun’s visits for secret political meetings in the Chinese Y.M.C.A. building near their home behind the Church. 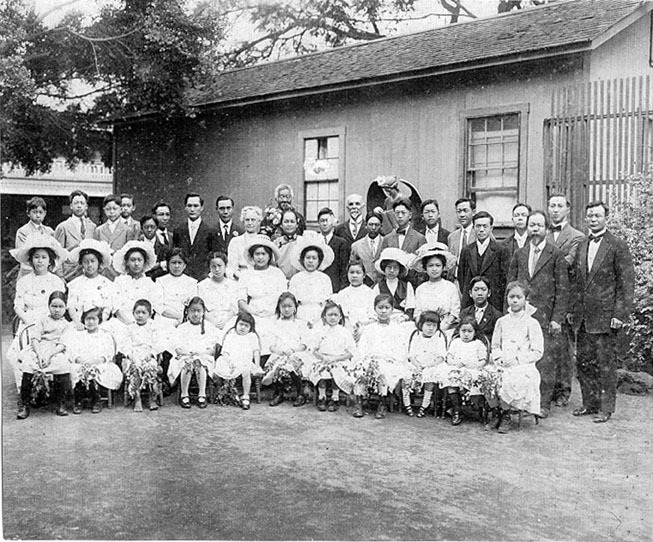 Collection of the Eugene Yap Family. Translated by Yansheng Ma Lum. “To the comrades in Hilo, I have received your letter of August 21 and am happy and feel very encouraged to hear about your unswerving support to the revolutionary movement. Beginning September 2, I left San Francisco, going to North America, Midwest and the East. By the end of October, I expect to arrive in New York and then make plans either to visit Europe first then return to Southeast Asia, or turn back to the West coast, then go back to the Far East via Hawaii and Japan. I have not made any definite plans yet. However, there are signs of revolutionary uprising in Szechuan. I don’t know whether they have succeeded or not. If the uprising goes well, then Kwangtung, Kwangsi, Yunnan, Kweichow and Fukien provinces will follow suit, so my plans of going back home have not been determined. Hope my comrades would work hard, unite and support the revolution. Will write you later and report to you.